Ocean Alliance is representing five superyachts at the upcoming Australian Superyacht Rendezvous (ASR) – more than any other participant. Their line-up includes the 26-metre M/Y AURORA, 30-metre M/Y MURCIELAGO, 37-metre M/Y MASTEKA 2 and, the largest yacht on display at the event, the 40-metre M/Y SILENTWORLD. In addition to these superyachts, Ocean Alliance will be representing 31-metre M/Y ONEWORLD who will be making a world debut at the event. All the superyachts presented by Ocean Alliance are being offered to clients looking for luxury corporate and private charter. Based in Sydney but travelling to the Gold Coast for ASR, held from 20 to the 22nd April 2018, Ocean Alliance is one of the only brokers in Australia accredited by MYBA (The Worldwide Yacht Brokers Association), and a corporate member of which there are only 129 companies globally. “We are looking forward to a successful campaign on the Gold Coast with the Australian Superyacht Rendezvous coinciding with the end of the Commonwealth Games. No doubt it will be a very exciting time for the city and for the company, as we present these leading superyachts to the growing Australian superyacht charter market,” stated Ocean Alliance’s Managing Director, Joachim Howard. 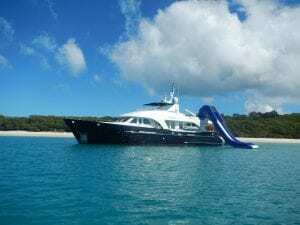 Interest has increased in Australia as a destination for ultra and high net individuals to charter a superyacht as a new way to experience the region. So much so, Ocean Alliance launched onto the Australian charter market, on behalf of their Owners, four superyachts over the last 12 months. The latest of which is ONEWORLD; built specifically to Australian survey standards with chartering in mind. ONEWORLD only arrived on Australia’s shores in March 2018 after her launch in the U.A.E..
“There is increasing interest from many Australian Owners to operate their yachts commercially and having ONEWORLD enter the market and be presented to the global market for the very first time at ASR is a testament to the demand. The market is being stimulated by these additions as well as by events such ASR not to mention the support of Tourism Australia,” continued Mr Howard. The 2018 edition of the Australian Superyacht Rendezvous is the second time the event has been held at Gold Coast City Marina and Shipyard (GCCM). 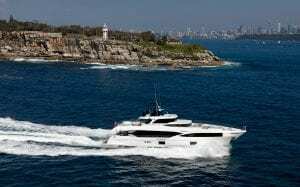 Its aim is to highlight the growing number of quality Australian superyachts available for charter as well as bringing the industry together to celebrate its growing importance. “We were very encouraged by the first edition of ASR and have expanded the second edition to include more yachts and an Industry Roundtable on the Friday morning. Joachim will be taking part in the Roundtable along with leading superyacht Captains, superyacht Owners and industry leaders, including the Executive Officer of MYBA, to capitalise on the momentum and develop opportunities,” explained GCCM’s CEO, Trenton Gay. A recent Economic Impact Study discovered the yachting industry contributed AUD$1.965 billion to the Australian GDP in 2016. 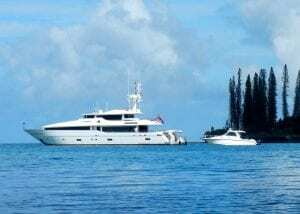 Currently, before the Federal Parliament are proposed changes to the Coastal Trading Act which would allow internationally flagged superyachts to charter in Australian waters. The impact of these legislative changes would likely result in a AUD$3.34 billion contribution to the economy and nearly 25,000 jobs. “The industry would welcome these changes. Australia is an aspirational destination the world over and the more we can offer, to the standards set down by MYBA, the greater outcomes for consumers and industry alike. This is certainly a topic which will be broached at the Industry Roundtable. I congratulate Trenton and his team for creating a successful platform such as ASR and leading the industry,” said Mr Howard.